“Yech,” said my neocon friend when I told him that I admired The Middle of the Journey. 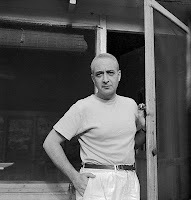 Yet Lionel Trilling’s 1947 novel—Trilling himself—is more admired on the Right than on the Left these days. Nothing like liberal anti-Communism, which Trilling championed, exists any more; and not just because Communism has been discredited everywhere except on the academic Left. It is not clear any more what tyranny the Left is anti-, other than a firefighter who objects to being discriminated against on the basis of race. His theme, as Trilling wrote in an Introduction when the novel was reissued in 1975, was “the powerful attraction to Communism felt by a considerable part of the American intellectual class during the Thirties and Forties.” And the equally powerful revulsion from it, he might have added, on the part of ex-Communists. The opposing forces are dramatized in the character of Gifford Maxim, “this huge, dedicated man,” and the reaction he provokes. By now everyone knows that the character was based on Whittaker Chambers, who had “pledged himself to the cause of Communism and had then bitterly repudiated his allegiance.” At the time the novel was published he could “scarcely be called a historical figure,” but less than a year later Chambers testified in a public hearing of the House Un-American Activities Committee that an “underground group” whose purpose was “the Communist infiltration of the American government,” although espionage as “certainly one of its eventual objectives,” included former State department official Alger Hiss and two other members of the Roosevelt administration. Since that moment Trilling’s novel has been treated as a footnote to history, but there is a case to be made for its literary interest. Especially because readers on the Left will have nothing to do with Chambers’s 1952 autobiography Witness—the greater book on Communism’s powerful attraction—The Middle of the Journey deserves to be more widely read. Maxim’s explanation is simple. He was a Party professional, not an idealist; he cared only for results. “[I]f you take the professional attitude about revolution,” he explains to Laskell, “you don’t permit yourself the luxury of ideas.” At some point, though, the results ceased to please him; they were more than he had bargained for. They were, in fact, evil. Then as now, the use of the word evil separates Right from Left. The Crooms are not mistaken: Maxim has joined the other side, the side of law in open antagonism to evil. “Is it not strange,” he says,do you not find it strange that as we become more sensitive to the sufferings of mankind, we become more and more cruel? The more we think of the human body and the human mind as being able to suffer, and the sorrier we feel for that, and the more we plan to prevent suffering, the more we are drawn to inflict suffering. They more tortures we think up. The more people we believe deserve to be tortured. The more we think that people can be fuled by fear of suffering. We have become our brother’s keeper—and we will keep him in fear, we will keep him in concentration camps, we will keep him in straitjackets, we will keep him in the grave.Then Maxim pays a visit. And despite the Crooms’ initial reluctance even to dine with him, he becomes involved in the human drama of the Connecticut countryside. One thing leads to another, and a child dies. At first it appears that her father has murdered her—a genuine working-class man, a victim of capitalist injustice, who is for the Crooms “not so much a man as a symbol. He was a symbol of something good, of something that deserved to be talked about endlessly. . . .” Although he is cleared of his daughter’s murder, he is no longer a symbol of good. “I can’t stand the idea of having him around me,” Nancy says. “Not that I’d be afraid, but I’d always be thinking that this man killed his child.” Arthur falls back upon Marxist clichés (“social causes, environment, education or lack of education, economic pressure,” yadda yadda), and Nancy agrees that he is not to blame “personally, individually,” but even so she remains adamant about not seeing him again. She is deeply perplexed by her contradictory feelings. In the end, then, Maxim triumphs. The Left’s refusal to acknowledge the evils perpetrated in the name of Communism—even to speak the name of evil—divides it against itself. But this is not the claim that Trilling’s novel has on the attention of readers in 2009. Nor is the novel most interesting, as several critics have pointed out, in prophesying the rise of neoconservatism. “The time was getting ripe for a competing system,” Laskell decides. The Middle of the Journey is that rare thing, a successful novel of ideas. And the key to its success is that Trilling takes what Aristotle called dianoia (“thought,” which he defined as a lesser element of tragedy), and makes it indistinguishable from ethos, character. To accept or reject a man is to accept or reject his thinking. At the end of the novel, Laskell includes the radical Crooms among the dangers of the world, and so does Lionel Trilling’s attentive reader. I enjoyed reading what you have said about Trilling and THE MIDDLE OF THE JOURNEY, especially as it reminds me of how bizarre the mid-20th century was in terms of McCarthyism and its effects. The effect of your essay, though, means that one more book is added to my constantly growing list of "must read" novels. I would highlight one point you made, "To accept or reject a man is to accept or reject his thinking," and add to it by asking you a question: Do you also accept or reject texts based upon an acceptance or rejection of the author's thinking (with unacceptable political attitudes being at the core of the author's thinking)? In may case, for example, I know that I tend to accept and embrace more readily writers with a conservative perspective but try to guard against such summary acceptance or rejection. No, but let’s be clear. What I am getting at in Trilling is the character of a person’s thinking—its “responsibility,” to use Gifford Maxim’s word. The Clooms are typical of political radicals. They are abstractionists; they ignore the human warmth in favor of an ideal. It is not their conclusions, but their tendenz that promotes cruelty. Perhaps the friend ought not be so dismissive of either madness or literary taste. However, having just put those two concepts into one phrase, I have the strangest feeling that someone (perhaps Oscar Wilde) said something similar long ago. Well, now I am off on a search to uncover more about literary taste and its relationship to madness. Do you also accept or reject texts based upon an acceptance or rejection of the author's thinking (with unacceptable political attitudes being at the core of the author's thinking)? R.T.'s question is an important one, a question that I think everyone ought to ask themselves regularly. it's a fair question, and a reasonable one, because the vast majority of critics would, if they were in their deepest heart of hearts being honest, have to answer Yes. Can you truly separate your literary taste from your own ideas? ("You" in the general sense.) I wonder. It seems to me, in reading criticism, quite often that critics find it extremely hard to do that. They may claim to be able to be above decisions based on taste, but then they stumble into situations in which taste seems quite rooted in their choices, and even more pervasive in their typologies or canon-making experiments. One observes over and over again that books are added to "great books" or "top ten" lists simply because the canon-maker likes them. One example of this that still makes me chuckle is reading Philip Larkin's reviews and essays about jazz. He is very insightful and full of wit in much of his jazz criticism—except that he categorically rejects any and all jazz more recent than, say, bebop; in effect, he allows his preference for Louis Armstrong to allow him to dismiss anything John Coltrane ever did, including the Ballads. There is no justification of his position, only reactionary rejection. You open the door to political taste being an issue for critical discussion, here, when you reposition Trilling. (Probably quite accurately, I have no doubt.) Your neocon friend who dismisses Trilling's novel out-of-hand makes the common mistake of confusing content (or message) with style (or quality of writing). Does the left do this more than the right? Probably not, but I think one can safely say that the extremists and ideologues of whatever political stripe are more prone to it than those who approach critical decisions from literary merit alone. The thing is, most critics don't make clear their decisions based on taste from their decisions based on attempts to determine literary merit. They let their personal preferences creep into their critical essays. Well, you know, on one level that's fine: it's more pleasant to write an appreciation of something you like than it is to write about something you hate; unless of course hatred is the motivating force of one's criticism, which seems to be the case for some critics who almost never write positive reviews of anything. Where do matters of taste appear unannounced in criticism? There are underlying assumptions I see critics make all the time, which are consistent judgments that ignore writing quality in terms of taste. (Your neocon friend seems to have done that, again.) One of the most strange, in my opinion, is the prejudice many critics feel against "genre" fiction. What this often reveals is a critic's belief that mainstream "fine art" or "literary" fiction is inherently better, as writing, than what one finds in genre fiction. This is easily proven to be a prejudice because counter-examples abound. The usual dodge is to say, but well, that writer "transcended" their genre to become genuinely literary: i.e. we're going to say this is "fine art" fiction because it's great writing even though it began its career as a mystery or fantasy novel. I don't mind it if a critic is open about their underlying assumptions, their tastes, and their prejudices, even if I often disagree with them. I prefer it when a critic tells me what they passionately detest, as Larkin did. I might believe their viewpoints irritating or just plain wrong, but at least you know where you stand, and what you can expect from them. I would never expect to get a positive review of very modern jazz from Larkin, were he still alive; I'd rather more likely expect him to agree with all of Wynton Marsalis' opinions, and Wynton is most definitely an anti-modern "jazz neocon." Which leads me to question whether or not a critic is doing his or her job, if their opinions are going to be so predictable. This does not indicate an open mind, if a critic's responses are predictable or knee-jerk. It indicates rather than taste and prejudice have come to cloud their critical assessments. That's one way to spot a critic's unstated biases: their knee-jerk, predictable reactions. I have my own; so does everyone else. What I'm getting at, really, is that I don't think anyone can honestly answer R.T.'s question with a decisive No. Ever. Not totally. Not even myself. I think one can, as I said above, make a distinction between what one likes and what one acknowledges as well-written even if one doesn't like what it says. (One practices this all the time in reading criticism on the lit blogs.) Again, if one openly acknowledges one's biases, at least you know where you stand. And one can do one's best to get past one's own prejudices, to do one's best to see matters as clearly as possible. Even if we can't always achieve that, it's worth striving for. But this really is a fundamental question that R.T. has asked, that gets at the parallel questions of subjectivity vs. objectivity, and whether that's even possible in criticism. I'd have to say, I far prefer an honest bias to a concealed prejudice; the latter is far more pernicious. Yet the honest critic must regularly ask him or herself R.T.'s question; I've rarely seen it better phrased. So I'll be honest about my own preferences: The only "political" viewpoints that I agree with are those that bring more compassion and fellow-feeling into the world. The extreme wings of even relatively compassionate or at least harmless viewpoints all tend towards totalitarianism; which I believe must be rejected in favor of dynamic and diverse ideas meeting on common ground. I tend to be suspicious of authoritarian opinion-giving, regardless of what direction it comes from, even if I might agree with its content. I don't readily drink anyone's kool-aid on any topic; I take my time and think about it first.